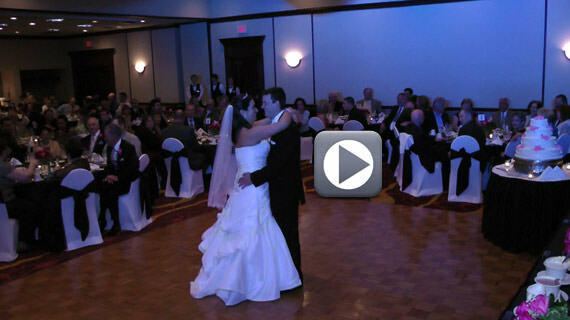 On Saturday April 28th 2012 we were at the Pittsburgh Marriott North in Cranberry Township Pennsylvania. The event was a wedding ceremony and wedding reception for Jordan and Laura Bitzer. Guests began arriving at the Marriott at 4:30 pm played prelude music prior to the start of the wedding ceremony. The ceremony started at 5:00 pm and was officiated by Reverend Samuel Dejoy. At 5:30 pm guests proceeded to the atrium for cocktails, as the staff at the Marriott turned the room from the ceremony setup to the reception. Guests re-entered the room at 6:30 pm where they enjoyed dining and dancing until midnight.